Data collected from processes and machinery can only be as accurate as the measurements and sensors used. As a result, SKS Automaatio approaches the industrial IoT particularly from the perspective of measuring technology. Using the SKS Automaatio IoTKey® system, reliable sensor technology is connected wirelessly with data systems. The system consists of a transmitter that can be linked to various sensors to transmit measurement data, as well as a cloud-based service and web interface used to monitor the data. The IoTKey® can also be connected directly with the user’s systems. 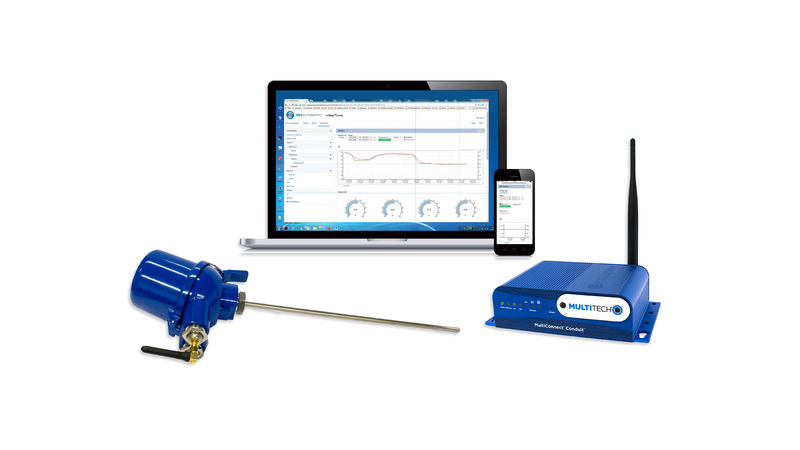 With the IoTKey® system, SKS Automaatio provides solutions for the wireless measurement of a wide range of variables, such as temperature, pressure, vibration, humidity, and oil quality. The technology can be applied to production machinery and to various uses in the energy sector, civil engineering, and processing industry. The first applications of wireless sensors are in the monitoring of machinery and processes and in preventive maintenance. There is increasing need for industries to collect more data on the condition of machinery, but such additional measurements are often difficult and expensive due to the wiring required by sensors. The wireless IoTKey® is based on LoRa technology. The development and application of the technology is promoted by the global LoRa Alliance. As a member of the rapidly growing LoRa Alliance, SKS Automaatio has the capacity to produce and certify products that use the LoRa network. The IoTKey® system will be on display at the SPS IPC Drives exhibition in Nuremberg, Germany on 28–30 November 2017. SKS Automaatio has over 20 years of experience in supplying temperature sensors and measurements. The company’s IoTKey® system is a comprehensive platform for the monitoring of machinery and processes and preventive condition monitoring of equipment. The system provides information for the on-demand maintenance of production equipment and the real-time monitoring of processes. The IoTKey® system will be on display at the SPS IPC Drives exhibition in Nuremberg, Germany on 28–30 November 2017. SKS Automaatio is part of the SKS Group. Visit us at www.skssensors.com.